The cousins receive a postcard from Kinji who is vacationing in Hawaii. Takaharu kinda misses fighting with him while Nagi regrets not being able to return his book and photo. Takaharu sees Kasumi looking through a gardening magazine. She says it’s probably Yakumo’s since England is famous for its gardens. Youkai Otoroshi has popped up. Right in front of Yakumo. The Ninningers hurry over and find Yakumo already fighting the Youkai. They join in, but Yakumo calls over to them to wait. 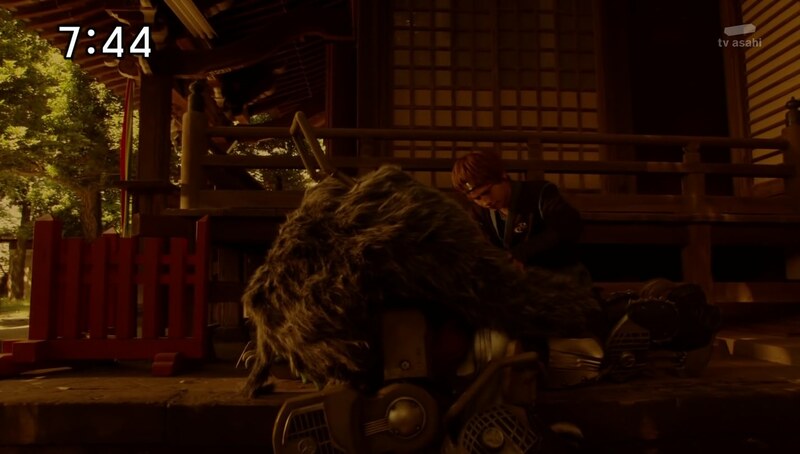 Too late though as Otoroshi shoots at Takaharu who falls under the Youkai’s control. 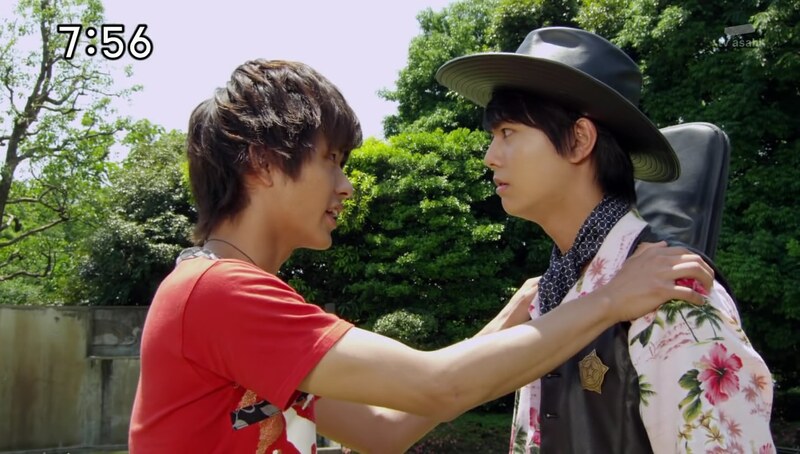 Otoroshi orders Takaharu to get rid of the Ninningers and he fights Nagi, Fuuka and Kasumi. Fuuka tries getting her brother to snap out of it, but he doesn’t. That is, until he just faints. Otoroshi realizes his power isn’t at full force yet so he decides to send another shot, this time at Fuuka. Before Fuuka can finish them off, she collapses too. Otoroshi leaves as Yakumo joins his cousins. He looks at Otoroshi and calls out “Carly.” Kasumi notices Yakumo is not himself. Back at the dojomanse, the cousins go over what they know about the Youkai; the power to control can only last a short time and Otoroshi can only control one person at a time. Kasumi comes up with a plan. First, a pawn will get hit by Otoroshi before Takaharu steps in to fight the pawn one-on-one. 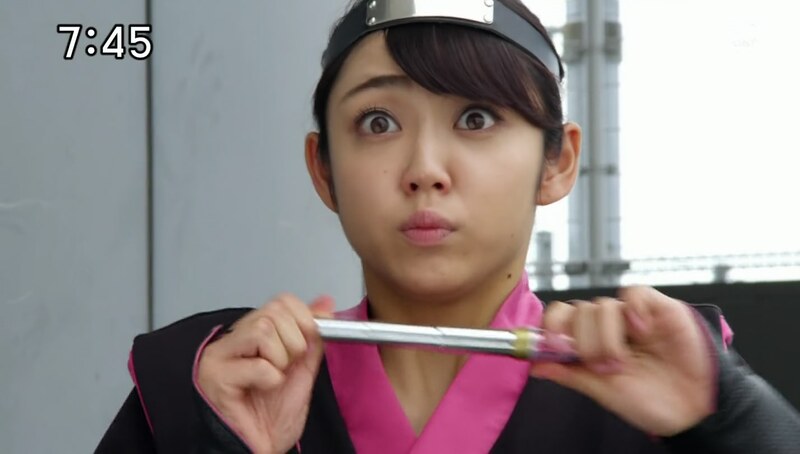 Kasumi is sure Takaharu won’t lose. The remaining three will then take care of Otoroshi. Yakumo volunteers to be the pawn. The others wonder about his eagerness. Otoroshi is wreaking havoc downtown as the Ninningers arrive. They begin their plan as Yakumo run towards Otoroshi only to get hit and fall under his control. Takaharu does his part to face off against Yakumo while the other three fight Otoroshi. Yakumo knees Takaharu in the balls before going to help Otoroshi. Kasumi has a new plan. Once the time runs out on Yakumo, they all attack at once. Yakumo falls to the ground and the cousins fire at Otoroshi. But Yakumo gets back up and blocks the shot. The Ninningers are shocked. Otoroshi is happy he can finally control people longer now. Yakumo fights his cousins before making his exit. 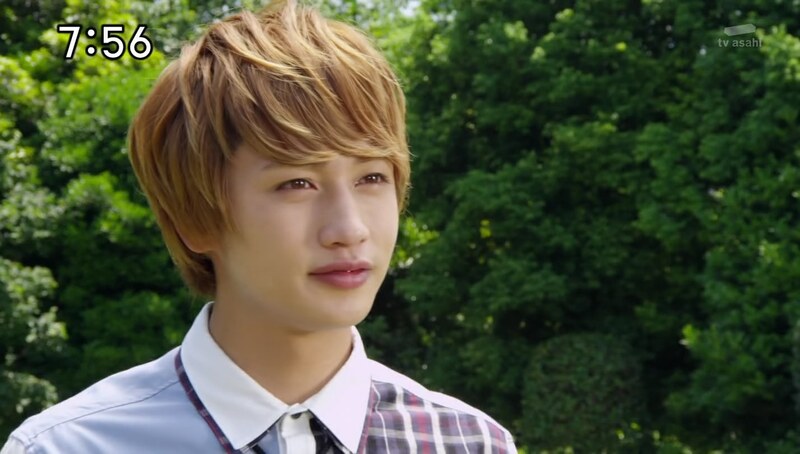 But Takaharu notices something off. Masakage meets with Otoroshi and is pleased with his progress. He tells Yakumo he’s counting on him. 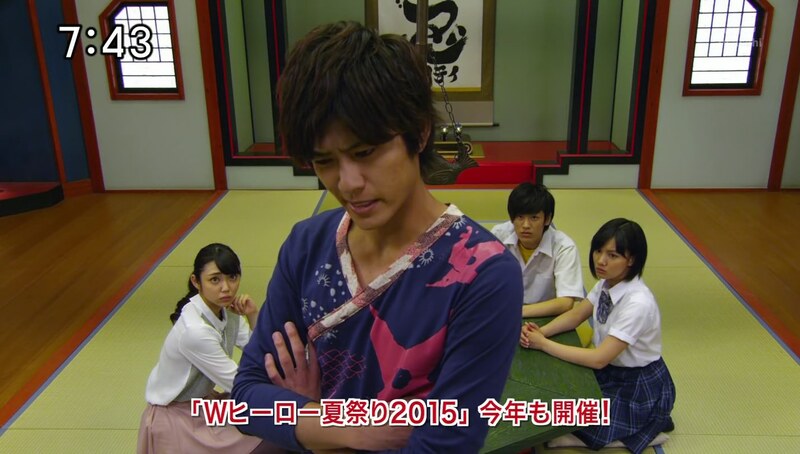 Back at the dojomanse, Takaharu says he felt like Yakumo wasn’t fighting for real earlier. Indeed, Kasumi adds. When Takaharu and Fuuka were being controlled, they were merciless. But Yakumo did not seem to be. Fuuka and Nagi think maybe he’s pretending so Otoroshi won’t hit another one of them thanks to the limitation. But Kasumi thinks there’s something else. She looks at Yakumo’s gardening magazine. Across town, Yakumo is giving Otoroshi a massage. He cuts his finger on something, but continues massaging. He sees his name marked on the Youkai. Next day, the Ninningers go to confront Otoroshi with another plan. Takaharu comes out first and lures Yakumo out. They fight as the others watch from around the corner. That clues Kasumi in to the truth. She looks up at Otoroshi and uses a telescope to see Yakumo’s name on his body. She remembers seeing a lawn mower on the magazine cover. That’s it! 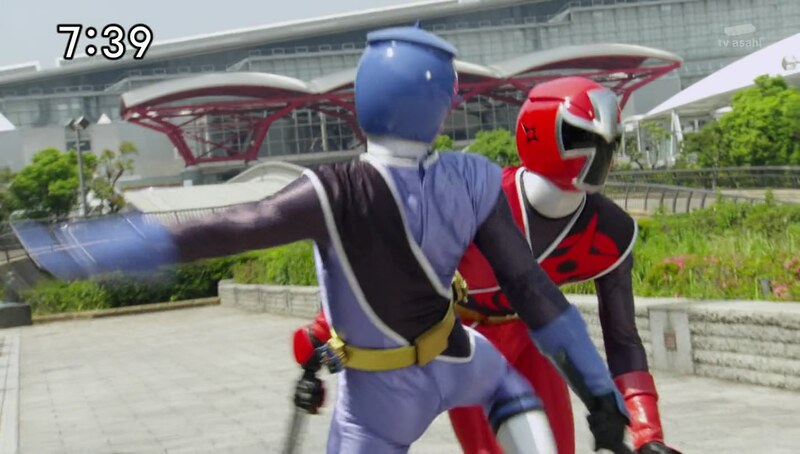 Kasumi runs out and stops Yakumo from slashing at Takaharu. She bluntly tells Yakumo that he’s not under control and that the Youkai was created from his lawn mower. Right? “Carly,” aka ShibaShibaCarly is the lawn mower advertised on the magazine and one that Yakumo owns. Yakumo runs and asks his neechan to stop. They all follow him. Kasumi believes a Sealing Shuriken happened to hit his lawn mower earlier which explains how he got there so fast to first fight it. But the lawn mower must be very important in some other way. Yakumo explains that the lawn mower was a gift from his Mommy for entering high school. Yakumo apologizes for pretending to be under Otoroshi’s control just to find a way to save Carly. He is conflicted about what is more important now. Yakumo runs out and decides to face Otoroshi head on. He henges and shoots at Otoroshi. The others henge and take care of Jukkarages before Yakumo deflects Otoroshi’s shot onto himself. Yakumo then delivers the final blow to Otoroshi as he says goodbye to his lawn mower. Otoroshi immediately embiggens and the Ninningers hop into Shurikenjin Drago. They have to switch to Shurikenjin UFO. But both times, Otoroshi jams the controls. WAIT! 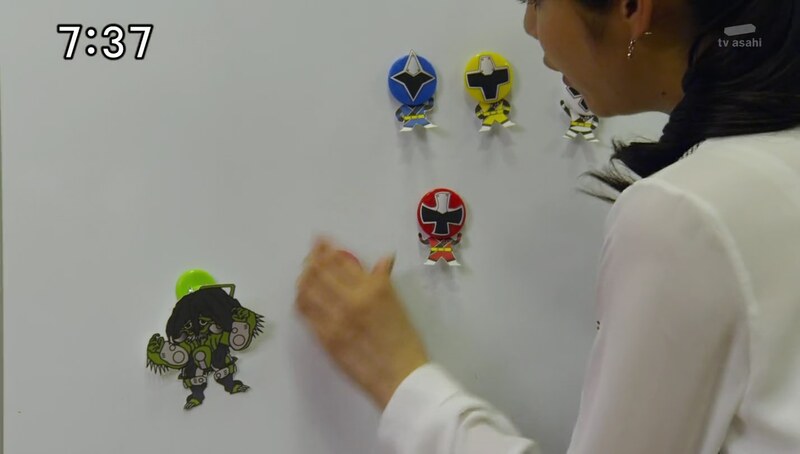 Takaharu actually forgot to give Kinji the Shuriken. 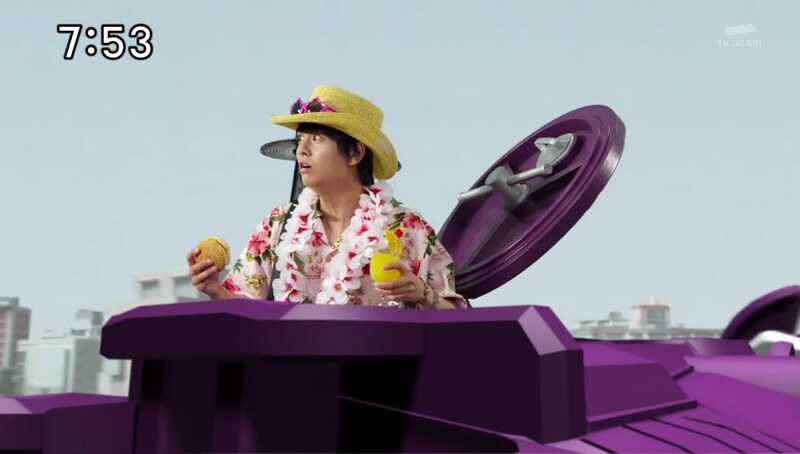 He uses it and it immediately summons Surfermaru with Kinji inside. 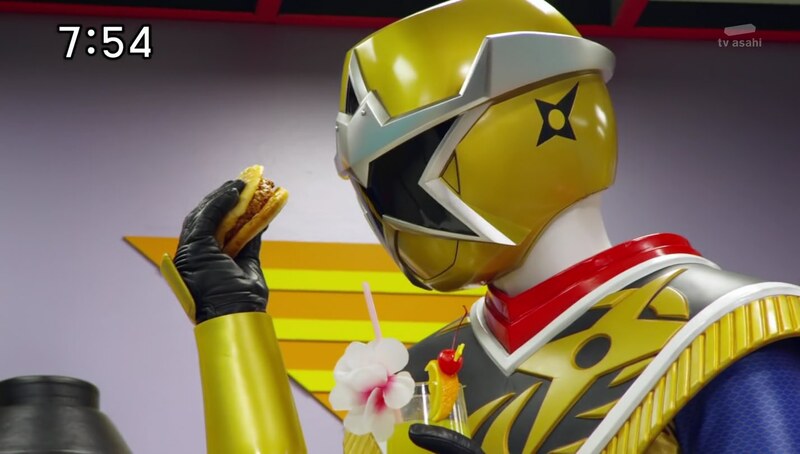 Kinji has no idea what’s going on or why he’s back in Japan. Takaharu initiates Shurikenjin Surfer and Kinji joins them in the cockpit. Yakumo asks Kinji if he knows how to separate a Youkai from an object. 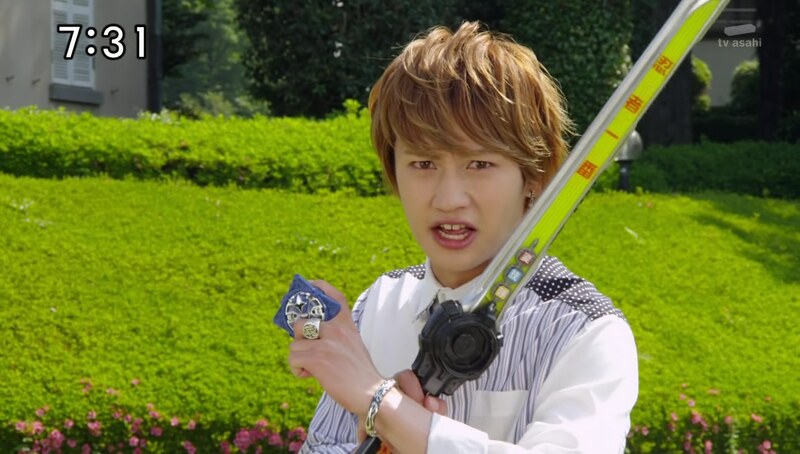 Kinji says to aim right at the Sealing Shuriken. Yakumo remembers feeling the Shuriken when massaging Otoroshi so they aim for it with a Surfer Slash. Carly is saved! Yakumo happily mows the lawn then lets Takaharu have a go. Kinji says goodbye so he can head back to his own country again. But the cousins stop him. They offer to ask Grandpa together to allow him to be a pupil. Kinji is very grateful for their kindness. But it was a solid filler episode. I wouldn’t say it was a good Yakumo focus since we really didn’t learn more about him other than being proud to be British, but I think we got that point already before. 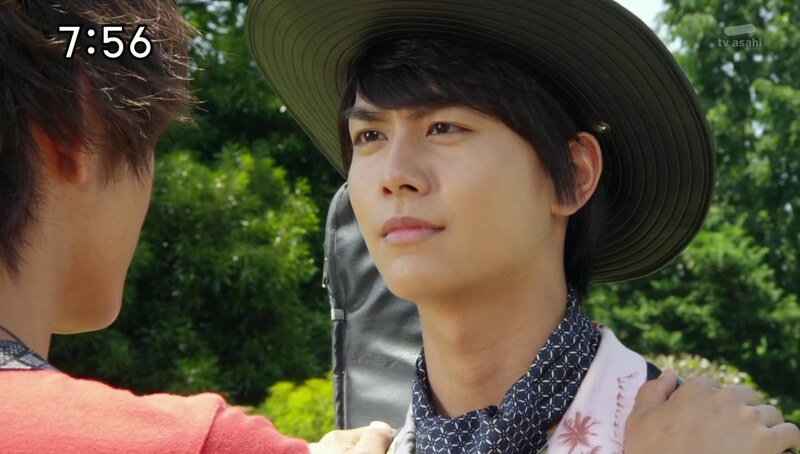 Then there’s Kinji who ends up returning anyway (in a very convenient fashion of course lol) which makes the deadline and last week’s goodbye mean nothing. Oh well. Still, it was an enjoyably amusing episode. Maybe not one I’d immediately go rewatch, but good enough.